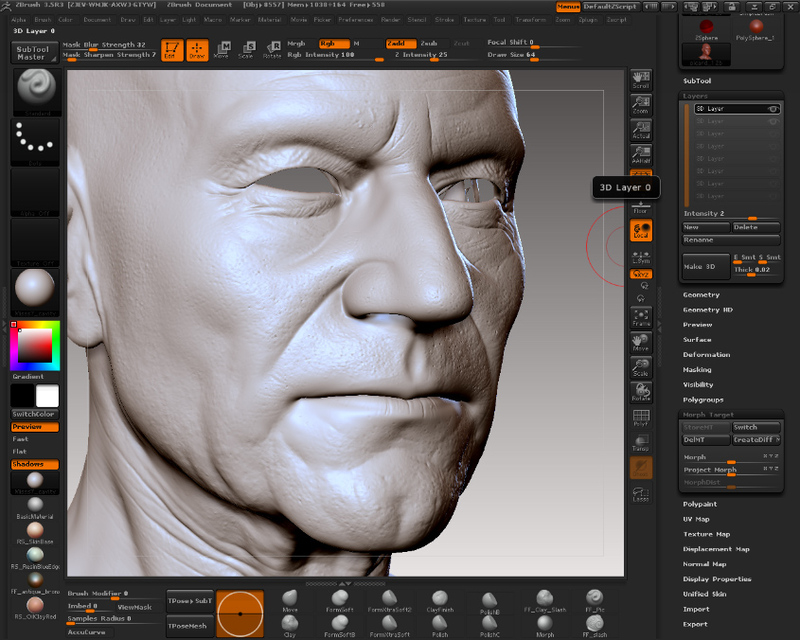 Here’s a quick method to enhance microdetails like Skin pores and wrinkles on a model. You will also be able to isolate these details on a separate layer. Then, Polish your model by pusing the Polish slider to it’s Maximum. Create a new 3d Layer, and switch your morph target. To enhance the model details, simply increase the intensity of the 3d Layer. 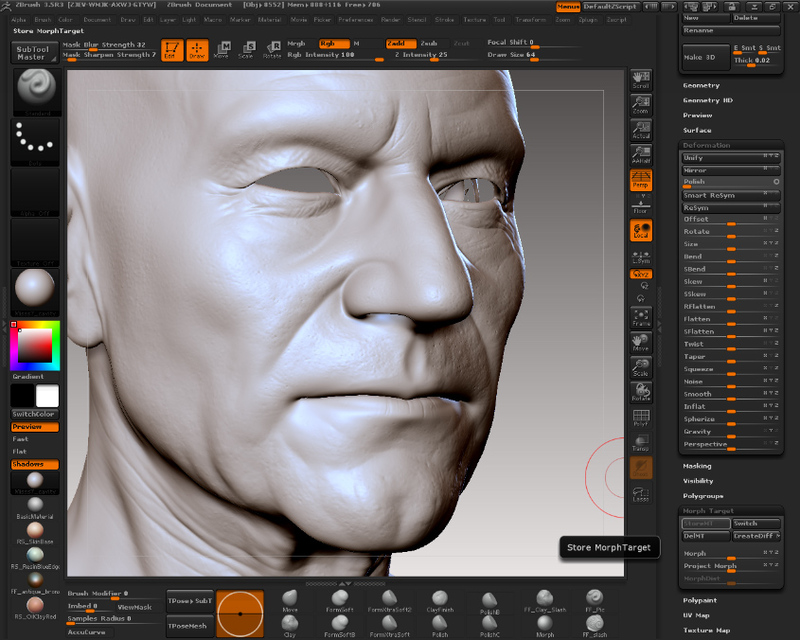 Now, here’s a method that will show you how to erase sculpted details on a model, while preserving polypainting or HD sculpting on this model. 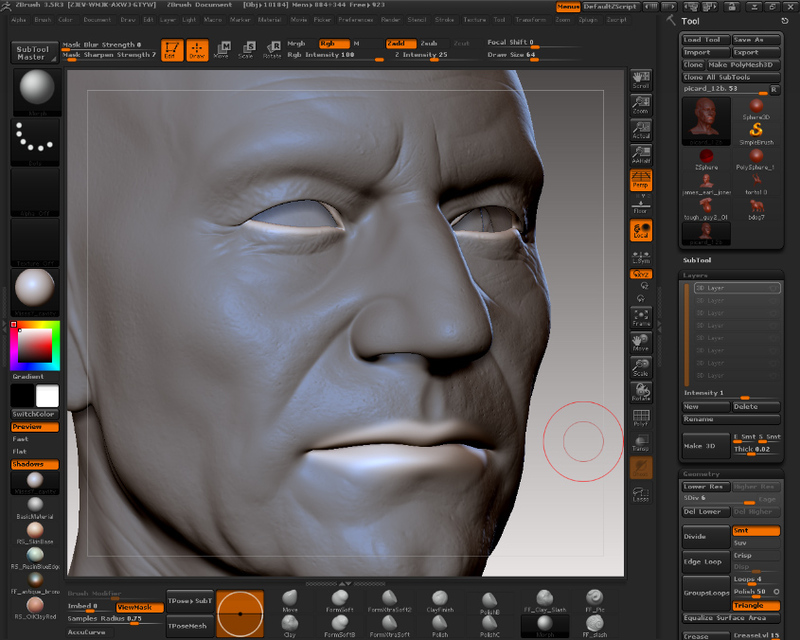 It will be helpful, for example, when you want to clean up eyelids, or the mouth of an animated model, or simply if you want to keep the global shape of a model but start over again the detailing process. First, go to the highest subdivision level , and store a morph target, then jump to the first subdiv level and go into Cage mode. 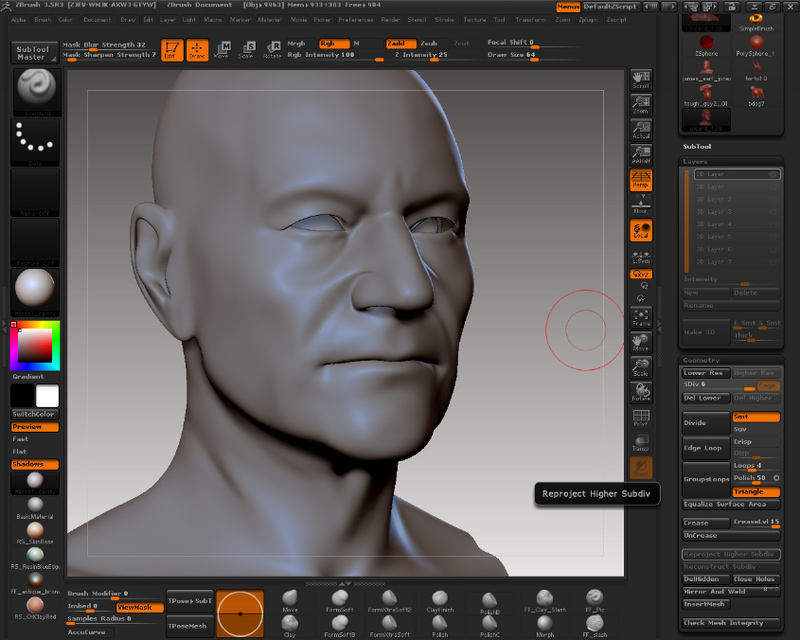 At this stage, you can export your model in an external app to clean it up, then reimport it. Reproject the higher subdiv. As your model is fully masked, your cage will be simply smoothed. As ALL the details are stored on a layer, you’re now able to change drastically the scale of your model at level 0. If the details are dimmed or exaggerated, simply adjust the intensity of this layer.